Cut the cucumbers and tomatoes into small dices. Finely chop up the celery stalk. Now, put everything inside the juicer jar and blend until a rich smooth juice is prepared. Cut carrots and tomatoes into small cubes. Also, chop up the watercress and spinach roughly. Put everything inside a blender and blend at high speed so that a thick and tasty juice is prepared. Make small dices of the beet root. Chop up the spinach, celery and cilantro leaves coarsely. Now, blend everything in a blender and come up with a vibrant and yummy vegetable juice. Cut the apple into small cubes and squeeze out the juice of the fresh lemon. Shred the spinach and the head of the red leaf lettuce too. Finally, put all the ingredients in a juicer and juice up nicely. Deseed and peel off the fruits as necessary. De-skin the ginger too. Cut all ingredients into small pieces and put them inside the juicer. Juice them up until you get an amazingly delicious concoction. Make small cubes of watermelon by keeping its seeds intact. Squeeze out the juice of the lemon and chop up the fresh mint leaves finely. Now, place everything inside the blender and blend well to come up with a scrumptious watery mixture. Cut the apples into cubes and chop up the kale leaves coarsely. Squeeze the lemon to take its fresh juice out. Then, combine everything in a juicer and blend nicely form a smooth rich concoction. Don’t wait. 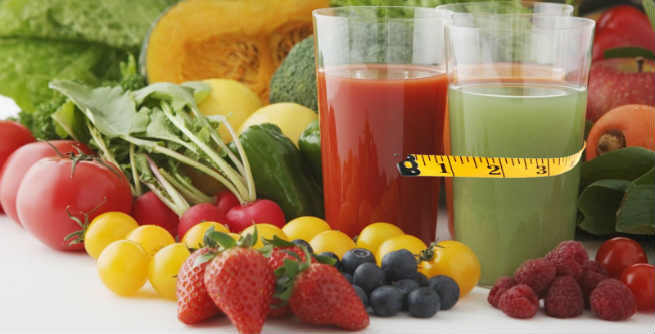 Just start juicing and step towards in your weight loss journey.